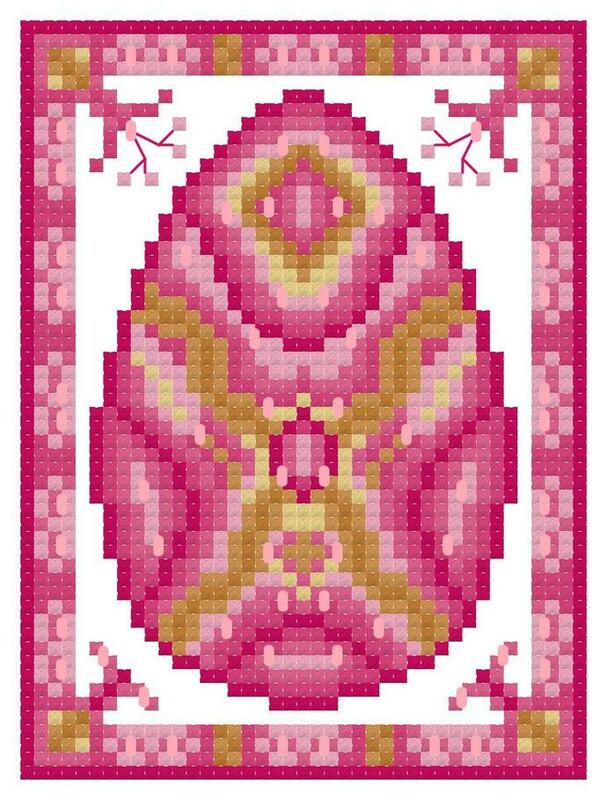 A small beaded, cranberry pink and golden brown Easter egg makes a beautiful springtime ornament! With sparkling metallic Kreinik blending filament, vibrant pink and golden threads, and Tea Rose Mill Hill glass beads, this egg is fun and quick to stitch. The pattern requires 7 colors of DMC floss, 1 color of Kreinik metallic blending filament, and 1 color of Mill Hill glass beads. The stitch count is 41 x 55. Matching lavender and green eggs are also available individually, or buy the whole set! 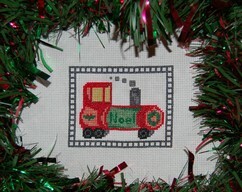 This cross stitch pattern is available as a PDF brochure you can download immediately. 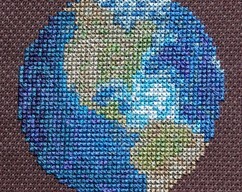 The pattern includes a full-color image of the finished project, a listing of floss colors and other supplies needed, and a black and white pattern chart. 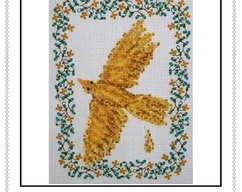 If you need cross stitching instructions, please add the free Basic Cross Stitch Directions item to your cart as well.